Sigma Epsilon Omega Chapter of Alpha Kappa Alpha Sorority, Incorporated is committed and recognizes your need for protection and privacy issues on the Internet. In general, you can visit us at www.akasigmaepsilonomega.org without telling us who you are or revealing any information about yourself. We do collect the IP addresses and domain names of visitors for site administration purposes, such as to analyze this data for trends and statistics. No personal information is obtained; rather just the patterns of usage of our various users may be tracked and monitored. This data is used to customize our website content to deliver a better experience to our users. THIS WEBSITE AND ITS CONTENT ARE PROVIDED "AS IS" AND SIGMA EPSILON OMEGA CHAPTER EXCLUDES TO THE FULLEST EXTENT PERMITTED BY APPLICABLE LAW ANY WARRANTY, EXPRESS OR IMPLIED, INCLUDING, WITHOUT LIMITATION, ANY IMPLIED WARRANTIES OF MERCHANTABILITY, SATISFACTORY QUALITY OR FITNESS FOR A PARTICULAR PURPOSE. THE FUNCTIONS EMBODIED ON, OR IN THE MATERIALS OF, THIS WEBSITE ARE NOT WARRANTED TO BE UNINTERRUPTED OR WITHOUT ERROR. YOU, NOT SOUTH ATLANTIC REGION, ASSUME THE ENTIRE COST OF ALL NECESSARY SERVICING, REPAIR OR CORRECTION DUE TO YOUR USE OF THIS WEBSITE. Except as specifically stated in this Policy, or elsewhere on this website, or as otherwise required by applicable law, neither Sigma Epsilon Omega Chapter nor its chapter members, content providers, or other representatives will be liable for damages of any kind (including, without limitation, lost profits, direct, indirect, compensatory, consequential, exemplary, special, incidental, or punitive damages) arising out of your use of, your inability to use, or the performance of this website or the Content whether or not we have been advised of the possibility of such damages. 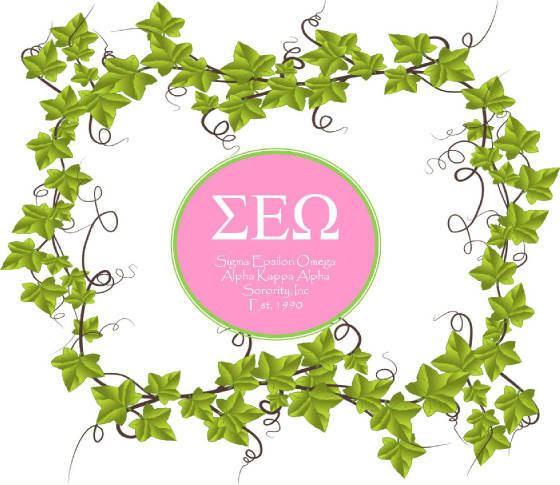 Sigma Epsilon Omega Chapter uses reasonable efforts to ensure the accuracy, correctness and reliability of the Content, but we make no representations or warranties as to the Content's accuracy, correctness or reliability.